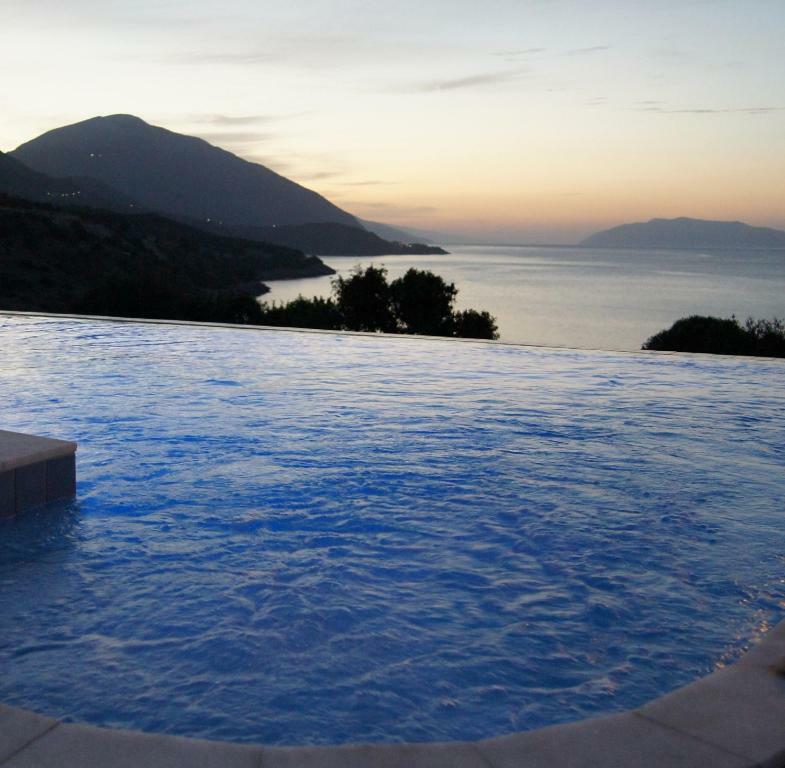 One of our top picks in Skala.Featuring air-conditioned accommodations with a private pool, Villa Di Capri is a villa set in Skala Kefalonias. This villa is 3.1 mi from Skala Beach. The villa features a flat-screen TV with satellite channels, a well-equipped kitchen with a dishwasher, and a bathroom with a hot tub and bath. Free private parking is available at Villa Di Capri. The accommodations offers a range of wellness facilities including a hot tub. An outdoor swimming pool and BBQ facilities are available at the property, while the pool can be heated upon request and at extra charge. 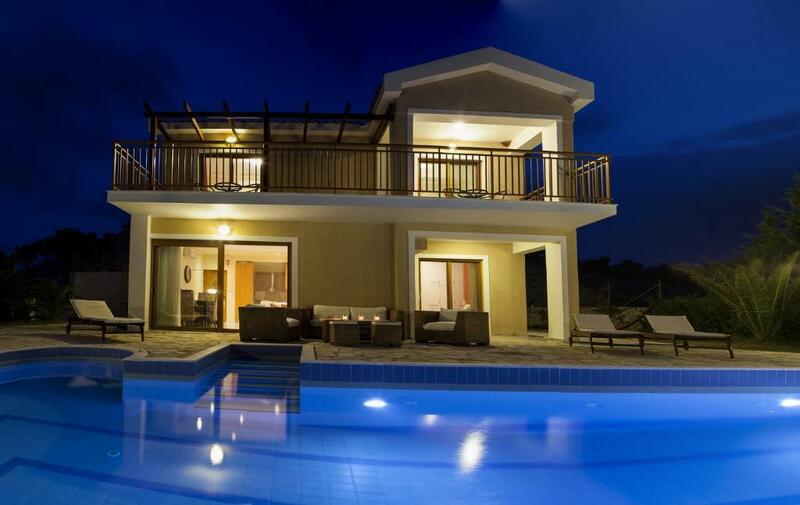 The nearest airport is Kefalonia Airport, 17 mi from Villa Di Capri. 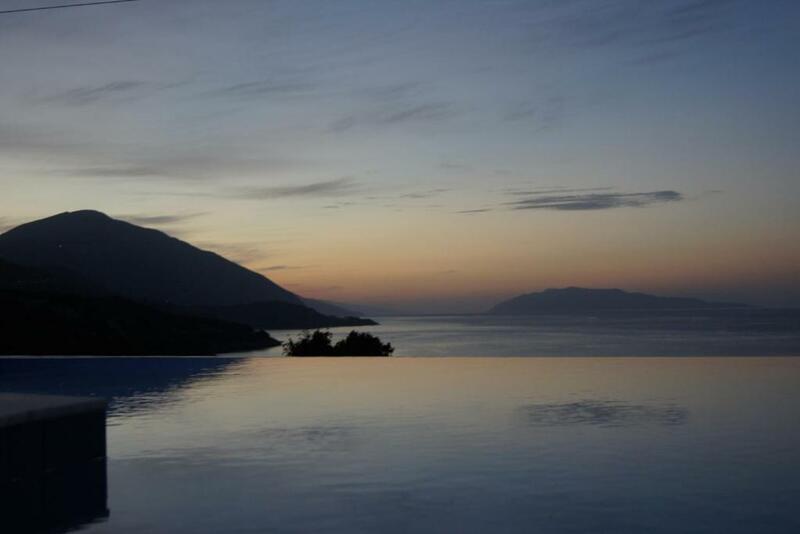 When would you like to stay at Villa Di Capri? This villa has a balcony, tile/marble floor and fireplace. The villa is located in a quiet area,there are no buildings nearby. It makes it the perfect place for relaxation. House Rules Villa Di Capri takes special requests – add in the next step! Please inform Villa Di Capri of your expected arrival time in advance. You can use the Special Requests box when booking, or contact the property directly using the contact details in your confirmation. We need at least 5 reviews before we can calculate a review score. If you book and review your stay, you can help Villa Di Capri meet this goal. The driveway is very steep and took some getting used to. There is large nightclub just beyond the villa even though it is quite remote. This kept us awake and the owner came the next day to soundproof the back doors so that problem was remedied. The property is just a bit tired and needs someone to go around to sort various mostly minor issues. There needs to be a book with house instructions and info in such as checking out details, what to do when hot water runs out, local information and recommendations. The visitor book disappeared during our stay which was a shame as we wanted to say thank you for a lovely stay. The villa has stunning views, we were met on arrival and shown around the villa. The outside is beautiful with loungers and a sofa to relax on. Lovely clean pool with lighting at night. Any problems were dealt with immediately. No down side, just a consideration..... Our stay was brief as we had a wedding elsewhere on the island. Would recommend hiring a car as it's isolated but taxis are reasonable and punctual. Even though our flight was delayed, we were greeted by a lovely helpful lady who spoke well. An unexpected and incredibly thoughtful and very welcoming provisions were left for the five of us so we could have a bite to eat. Charming, isolated and relaxing property with fantastic weather and a beautiful pool. Loved the cheeky mountain goats and humbled to see how hard at work the house martins are to create a nest for their young. The owner left us to our own devices but was very friendly, helpful and readily available via whatsapp. Couldn't ask for more. The only thing i would have changed would be the temperature of the pool, i thought the price to heat it was a little too much. We visited in May for a wedding as a group of 65 so weren't planning on spending to much time in the villa, however if we do manage to make it back i would have to pay for the heating as it was to cold. The views from Villa Di Capri are amazing. The villa inside and out was very clean and comfortable. The children loved it and had plenty of room to run around, we really appreciated the unexpected welcome pack containing all the things we needed until we made it to the shop. Location wise the villa is close enough to Skala but far enough to feel very secluded and private. Would definitely recommend a hire car. The owners of the villa are very friendly and laid back, which was a little concerning when we were trying to make payment however i think that might just be the greek way.